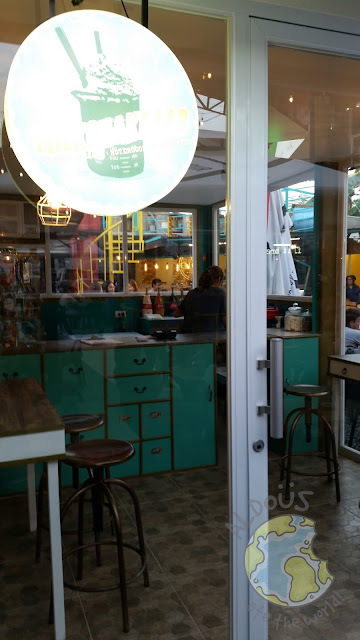 Located (literally) right in the middle of The Yard at Xavierville is the Milkshake Lab. It won't be hard to find them because they are the only air conditioned food stall in the food park. 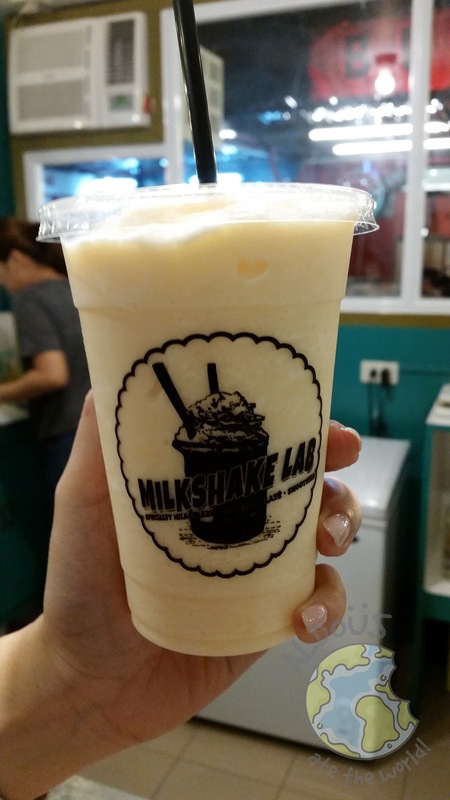 It can get a little hot when you stay long in the Yard so when that happens, drop by to enjoy the air con there along with their wonderful milkshake and smoothie concoctions. I was glad when I had one of their best sellers in the White Chocolate Macadamia. 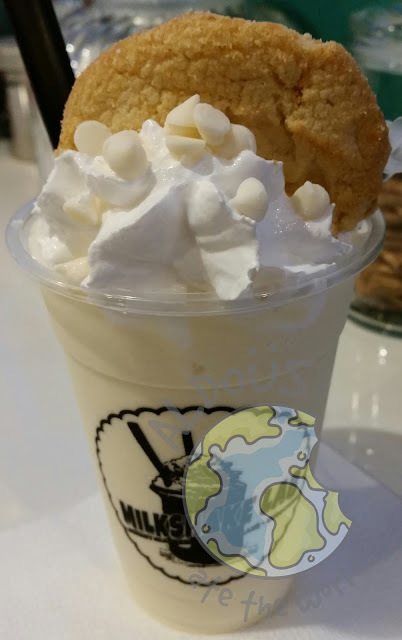 The macadamia nuts are right on top along with a cookie and an injection (once again literally) of white chocolate. Any time is always a good time to have this milkshake. I was tempted to drink it fast like it was water too. Guess what? They also don't have milkshakes, they also have fruit smoothies that are so milky it sent me to the farm. I chose my favorite fruit Melon and it turns out I did not make a bad choice no matter which fruit I chose. With owner Jillian Hizon's pastry background, I expected the Red Velvet Milkshake to be nothing short of magnificent and it was. It tastes exactly like the Red Velvet cake we have grown to love. In fact, I thought it was even better. There's even some red velvet cake bits on top that's definitely the icing on the cake (no pun intended). 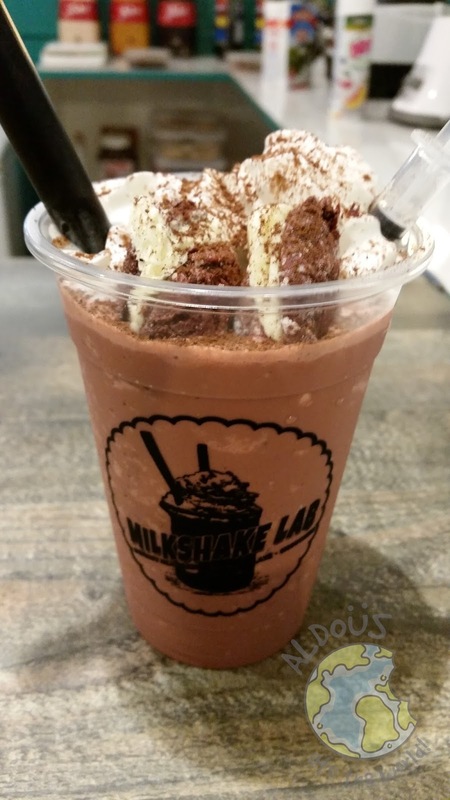 I am no scientist but I can't wait to try the other milkshakes and smoothie concoctions over at the Milkshake Lab. Look out for new items soon to be added on their menu too. Their milkshake brings all the boys (and girls) into the Yard....at Xavierville. Damn right! Oh. Parang Starr's Famous Milkshakes sa Katips. These smoothies and milkshakes look very refreshing. I think this place gets crowded during the day when the sun is at its peak since people want to get cool air.